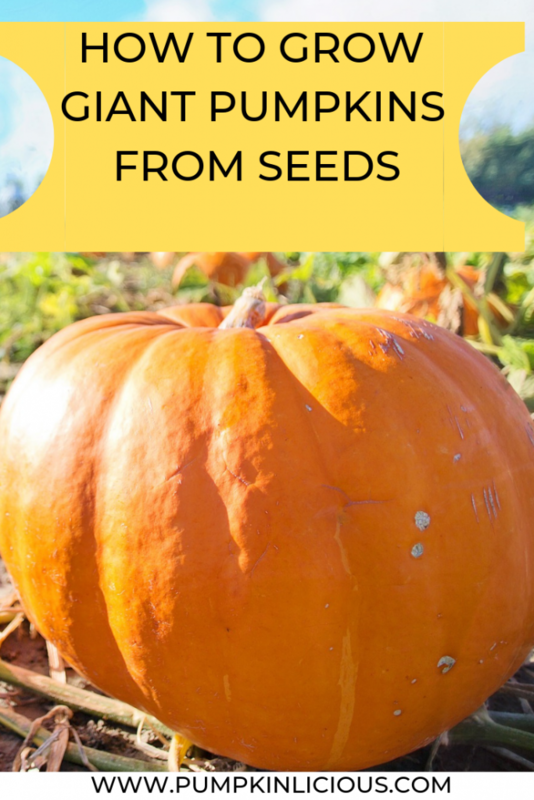 Growing giant pumpkins from seeds is fun and easy! If you want to compete for the world’s largest pumpkin check out my guidance and tips on how to grow giant pumpkins from seeds underneath. 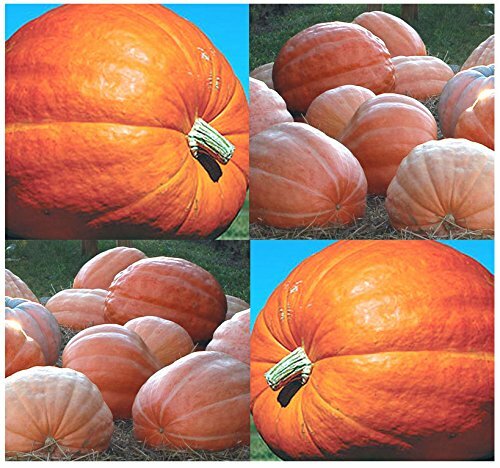 There are numerous reasons why you might prefer to grow giant pumpkins from seeds as opposed to their smaller version. Hands up if you have a Giant Pumpkin contest nearby? Yep this is one great reason to get some huge pumpkins growing in your backyard. Maybe you want to have a race and see whose can reach the bottom of the hill quickest?! The larger the pumpkin, the more fun (just make sure no one is sitting unaware at the bottom haha or they might get knocked over!!). I am going to state the obvious here but it is another fabulous reason to grow a really large pumpkin, yeh you guessed it you get the opportunity to make more pumpkin recipes!! You can also create a more spectactular Jack O Lantern. If you want to know how to grow giant pumpkins from seeds you need to pick the right variety of seeds. Luckily for you I can tell you what you need to buy and show you where to get them! 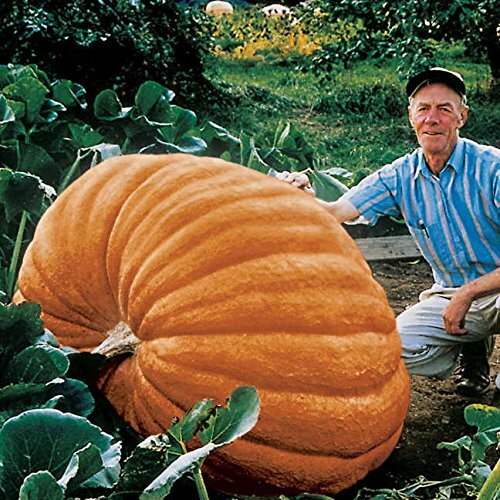 If you want to grow a giant pumpkin of around 300 – 500 lbs you need Dills Atlantic Giant Pumpkin Seeds! They come in packs of 10 so if you are really luckily you can grow ten whoppers! Wow just imagine how many Pumpkin Cheesecake Recipes you could make! Why would you want Dill’s as opposed to any other? Well they are responsible for a super giant pumpkin weighing 1763 lbs! That’s an awesome amount of pumpkin. Can you imagine the size of the trailer needed to transport that? Even better was the winner of the 44th World Championship Weigh off, where the pumpkin weighed over 2000 lbs! Find out more about this on Fox News. Now that you have some seeds to grow giant pumpkins you have to think about planting. I have lots of fabulous advice here on how to grow pumpkins no matter their size. Below I have given some additional advice with regards to huge pumpkins. Space – the largest of pumpkins need LOTS of space, much more than those of standard size. Recommended size is 15ft x 20ft. Weather – sunny climes are brilliant and cold frosty weather is a big no no especially if you want giant pumpkins. DO NOT PUT IN AN AREA OF SHADE. If you live in an area which experiences frost in Spring you can give your pumpkin seeds a headstart by planting indoors in a potted container. You might want to plant some extra indoors incase you run into problems with weather. Windy weather can also be a threat and some shelter should be provided if high winds are expected. Soil and Water – Well fertilized soil is a must. 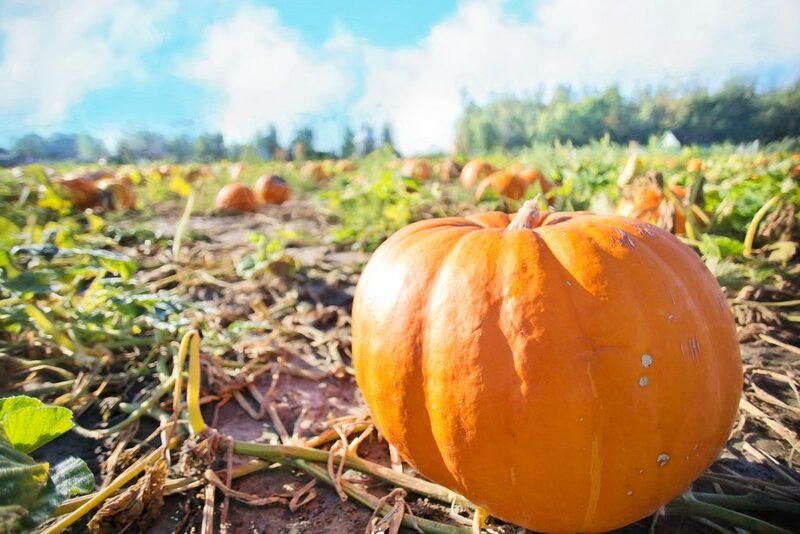 Chances are it will be hot and dry in later Summer when the pumpkins are at their most rapid period of growth; this is when they need the most nutrients. It is recommended they are well watered in the evening twice weekly to ensure adequate hydration and flow of nutrients. I hope you know how to grow giant pumpkins from seeds! How big will yours be? Will you make a 300lb one? Wow she is an expert in growing giant pumpkins from seeds! Perhaps she should share some tips on how to look after the soil and how to nuture them as they grow. It is a hard job, but worth it because you can make lots of yummy pumpkin recipes! We have been considering adding pumpkins to our garden. My kids would love a 300lb. pumpkin. Thanks for all the tips. If you have a large enough space you should really consider my tips on how to grow giant pumpkins from seeds, and maybe your kids will get their dream of a monster pumpkin!